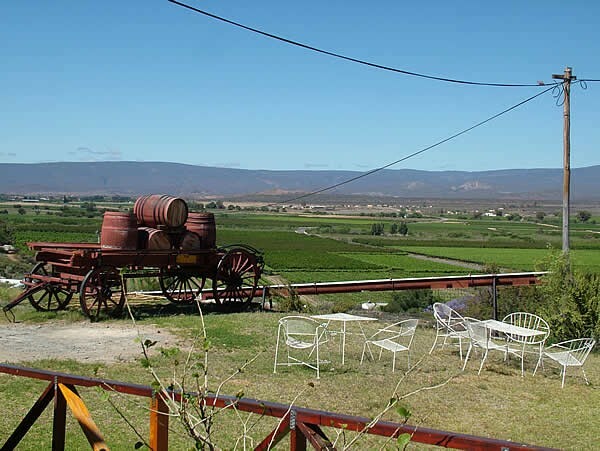 Calitzdorp, also known as the Port Capital of South Africa, is ideally situated on scenic Route 62, the longest wine route in the world, at the heart of the Klein Karoo, within a couple of hours driving time of all the world-class tourist attractions of the region. It is an old village with architechtural treasures and more interests than one can observe in a single visit. 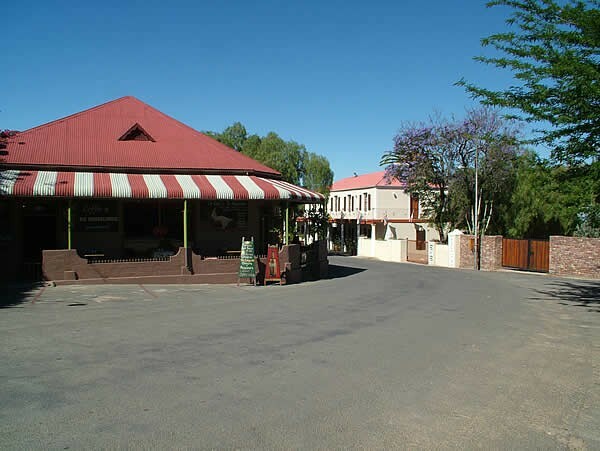 Just four hours drive from Cape Town and halfway to Port Elizabeth, Calitzdorp is the ideal stopover on the way to the Garden Route. 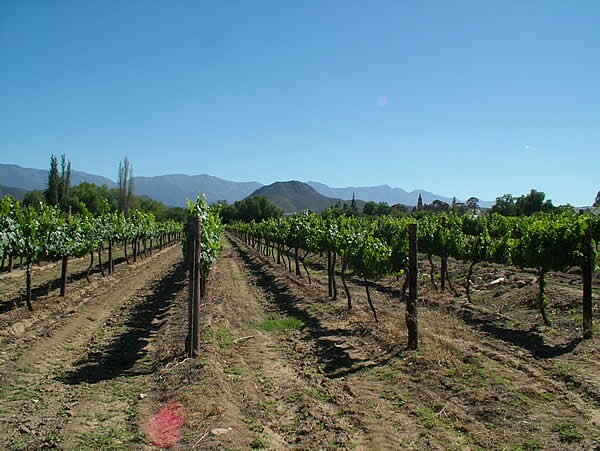 This village is proud of its wine industry that is renowned nationally and abroad, especially for its Port. 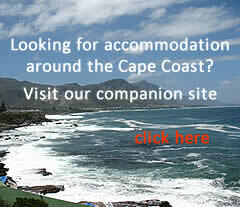 A wide choice of accommodation from camping sites and self catering to B&B's and five star guest houses will suite everyone's taste and pocket. Visit the fertile valley of Groenfotein (literally, Green Fountain) in the foothills of the Swartberg mountains, Seweweekspoort with its magnificent quartzite rock foldings and the highest peak (2325m) in the Western Cape, Kruisrivier that joins the road to the Cango Caves on the way to the Swartberg pass and Prince Albert. 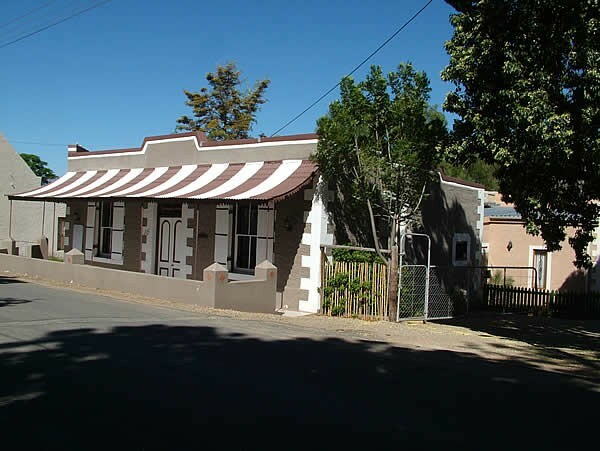 Calitzdorp has several restaurants, a museum and two art galleries, free classical organ recitals on weekday evenings, a variety of hiking trails, birds for the birdlovers, tractor tours though the Redstone hills, indeed, you'll need a week to enjoy it all! 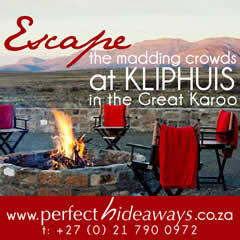 Relax and rejuvenate in the mineral-rich hot springs of the Calitszdorp Spa. 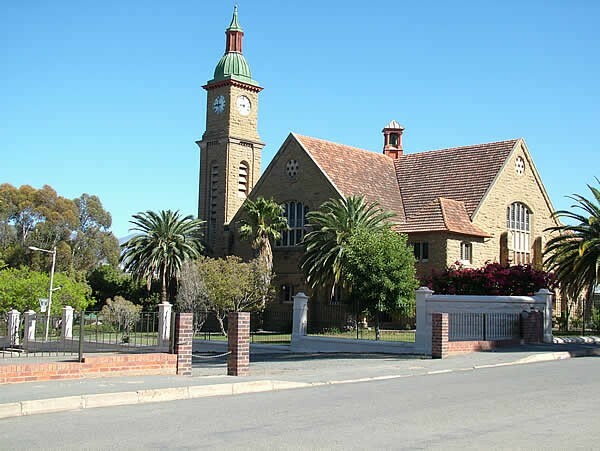 See Calitzdorp on foot and enjoy our impressive sandstone church - a national monument - and the charmingtown houses reflecting architecture from many different 19th century eras. The drive through picturesque Matjiesvlei down to the Gamkarivier to enjoy its spectacular aloe clad mountains and beautiful succulents. 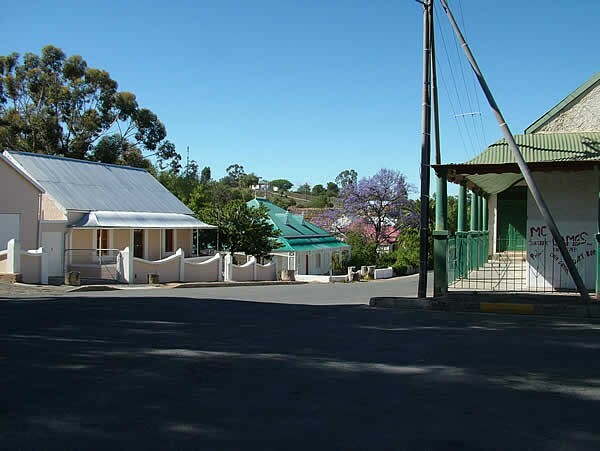 Calitzdorp is a small village. This is a short, slow stroll around part of the village, to see some of the historical buildings and starts at the church. 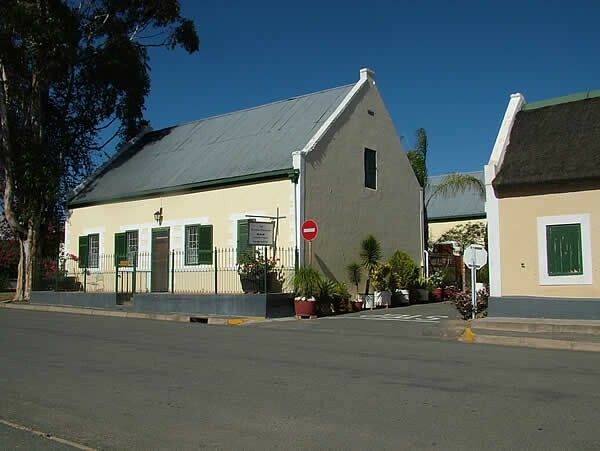 This second stroll covers the former main street of the village and starts at the Handelshuison the corner of Queen and Geyser Streets.